Award Year: 2009 The use of genomics in medicine has the potential to transform concepts of racial identity, making it immaterial, highly salient, or possibly both in different circumstances. Treatment for genetic diseases may eventually be tailored to fit an individual's genome, in which case the patient's self-defined race will not matter. Alternatively, genomic medicine may result in treatments that are licensed only for people of a particular race, as in the case of BiDil, an FDA-approved drug for treating congestive heart failure only in African Americans. Jennifer L. Hochschild, Ph.D., Henry LaBarre Jayne Professor of Government at Harvard University, and colleague Maya Sen, J.D., will explore the growth of politics, ideologies, and policies in this rapidly evolving field. Their study, Genomics, Medicine and Race: Political Valences and Health Policy Implications, will examine the growth of individuals' direct access to their own or family members' genetic information; how genetic information is changing the practice of medicine; and the extent to which genetic medicine affects how Americans think about their race and ethnicity. They will focus on how government can support genomic research while protecting citizens from risks, and how policymakers' beliefs or partisan affiliations can influence their opinions about regulation, funding, prohibitions, and acceptable risks. They will conduct a national survey of 5,000 people, as well as 100 in-person interviews with key players in the field from genomic scientists to legislators and judges. Their project will lead to policy options addressing the appropriate role of race in drug approval, improvements in medical diagnosis and treatment, and guidelines for legitimate use of information from individual DNA profiles. 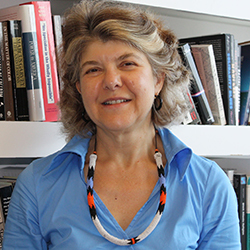 Jennifer L. Hochschild studies the intersection of American politics and political philosophy, particularly in the areas of race, ethnicity, and immigration. She also studies educational and social welfare policy, comparative immigrant incorporation, issues in public opinion and political culture, and the politics of genomics. Dr. Hochschild is the author or co-author of numerous books, including the two most recent, The American Dream and the Public Schools (Oxford University Press, 2003), and Bringing Outsiders In: TransAtlantic Perspectives on Immigrant Political Incorporation, co-edited with John Mollenkopf (Cornell University Press, 2009). With two co-authors, she recently published Creating a New Racial Order: How Immigration, Multiracialism, Genomics, and the Young Can Remake Race in America (Princeton University Press, 2012). She is also working on the politics and ideology of genomic science, immigrant political incorporation, citizens' use of factual information in political decision-making, and the meaning of perceptions of "linked fate." Dr. Hochschild was the founding editor of Perspectives on Politics, published by the American Political Science Association. She is a fellow of the American Academy of Arts and Sciences, a former vice president of the American Political Science Association, a former member and vice-chair of the Board of Trustees of the Russell Sage Foundation, and a former member of the Board of Overseers of the General Social Survey. She has received fellowships or awards from the Robert Wood Johnson Foundation, Guggenheim Foundation, American Council of Learned Societies, American Philosophical Society, Spencer Foundation, American Political Science Association, Princeton University Research Board, Radcliffe Institute for Advanced Studies, Weatherhead Center for International Affairs, Mellon Foundation, DuBois Institute, and Harvard's Center for American Political Studies. She has served as a consultant or expert witness in several school desegregation cases, most importantly Yonkers Board of Education v. New York State. In 2011, Dr. Hochschild will be the John R. Kluge Professor of American Law and Governance at the Library of Congress. Before coming to Harvard in 2001, she taught at Duke and Columbia Universities and was William Steward Tod Professor of Public and International Affairs at Princeton University. At Harvard, Professor Hochschild also holds lectureships in the Harvard Kennedy School and the Graduate School of Education. She teaches courses and advises students on racial and ethnic politics, American political thought, power in American society, immigration, and inequality and social policy. Hochschild, J., Sen, M. Technology Optimism or Pessimism about Genomic Science: Variation among Experts and Scholarly Disciplines. Annals of the American Academy of Political and Social Science. March 2015. Hochschild, J., Shen, F.X. Race, Ethnicity, and Education Policy. The Oxford Handbook of Racial and Ethnic Politics in the United States. Dec 2014. Hochschild, J., Brown, C. Searching (With Minimal Success) for Links Between Immigration and Imprisonment. The Oxford Handbook of Ethnicity, Crime, and Immigration. Jan 2014, 663-707. Hochschild, J., Weaver, V., Burch, T. Destabilizing the American Racial Order. Daedalus, Spring 2011, 140(2): 151-65. Hochschild, J., Weaver, V., Burch, T. Creating a New Racial Order: How Immigration, Multiracialism, Genomics, and the Young Can Remake Race in America. Princeton, NJ: Princeton University Press, 2012.